I bought these pink brushes a while ago because I just can't stand to look at their cuteness! 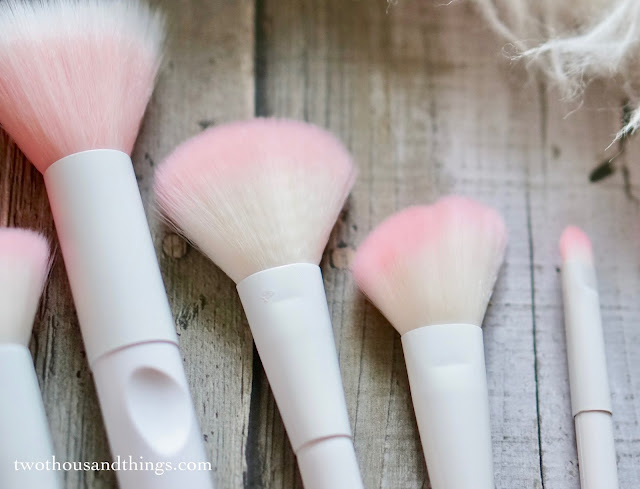 I mean, who doesn't want pink brushes, right? So I went ahead and ordered these Wet n Wild pink brushes after seeing their pictures on my Instagram timeline. I didn't order the whole set because they have so many brushes (17 brushes if I'm not mistaken) and I can't get broke right now because I'm still young, Lol. So I got wise and just ordered a few of them to try them out. What I really like from them aside from their cute pink and white style is how affordable they are. Well they are not the cheapest brushes out there, but they do sit in the lowest price range compared to brushes like Sigma or Real Techniques. The handles are designed to be ergonomic, with a little indented area around the middle of the handle which I think should help us to have a more firm grip, therefore the brushes would be more steady to use and won't hurt or tired our arms easily. 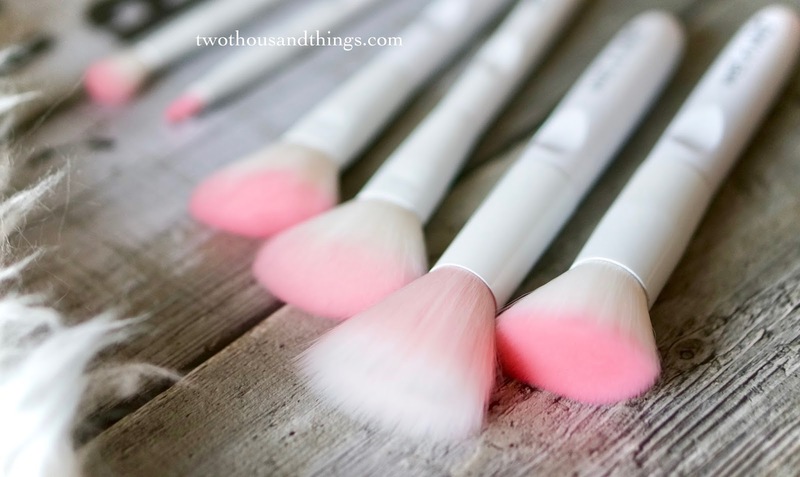 I personally love the look of these brushes. They would look so pretty on top of any girl's vanity. The bristles itself are soft and fluffy although I know they are made of synthetic material. 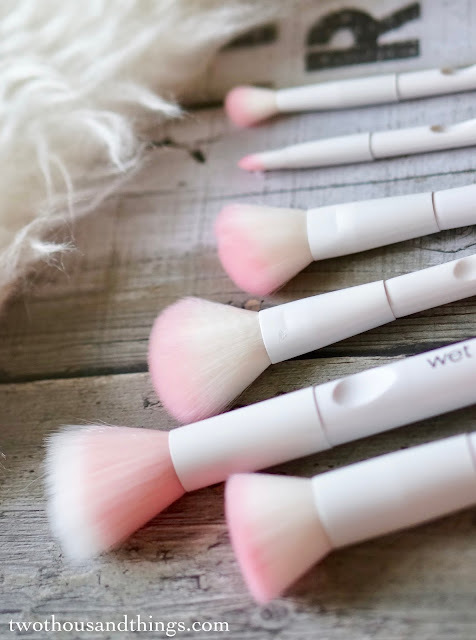 They are not stiff and coarse like those cheap unbranded brushes at all, in fact these WnW brushes are soft to the touch and runs very smoothly and softly on your face. One thing to note, there are some of the brushes that are a little less flexible to move such as the stippling brush (more about this later). Now after trying them out for more than a while, I could say my true opinion about these brushes. I would say that my favorite ones to use are the face brushes, but the eyeshadow brushes were also good too. I use these brushes almost everyday now and they are sitting pretty on top of my vanity as we speak. The face brushes are really nice to use, the bristles (although synthetic) but they still feel very soft and fluffy when you touch and run your fingers through them. They also feels soft on my face and the movement of the bristles are quite flexible considering they are synthetic which are usually a bit stiff. The only exception is the Large Stipple Brush because in my opinion it has less flexibility compared to the others in this lot. But I still love using it to put on my finishing powder though. The Contour Brush is an angled brush that comes in handy for sculpting and shaping. The bristles aren't really thick or dense, it has less bristles than I would hope for. I would prefer a thicker and more padded bristles on my contour brush so it can pick up products and distribute it properly on my cheeks, but I guess having less padded contour brush has its other benefit. Aside from sculpting my cheekbones I can also use it to contour my nose with it, and other smaller area on my face that I want to contour. 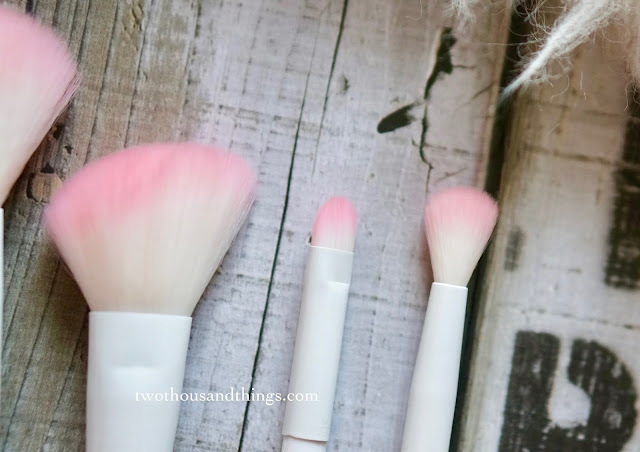 The Blush Brush is my favorite among all the WnW brushes I got because it's so soft and plush, and it can pick up products in the right amount. It is not as padded as I want it to be but it still works fine for me because the shape of the brush makes applying powder blush easier for me. I can also put my blush right under my eyes easily with this brush because of its slim shape (as the Japanese/Korean blush trend this season is wearing blush right underneath your eyes). My other blush brush is too thick and too big to do this "under-eye blush" style except for this WnW blush brush, so I'm happy with it. The Flat Top Brush is an all purpose brush designed with a flat top head and densely packed bristles, or so it says on the website. Although I would say that this brush is not as dense as I prefer it (compared to Sigma flat top brush for instance) but I'd say that this is also very nice to use. It is the most dense / padded brush from the set I bought, and it's perfect to blend in foundation and powder too. It doesn't leave any streaks on my face and though it's not as dense as the Sigma flat top brush but it still delivers beautifully. One of my fave from the collection. The eyeshadow brushes are fine too. I always need extra eyeshadow brushes because a lot of them got dirty easily and having many eyeshadow brushes would mean that I don't have to clean my brushes frequently, Lol. The Crease Brush has a long-tipped tapered bristles and is very nice to use. 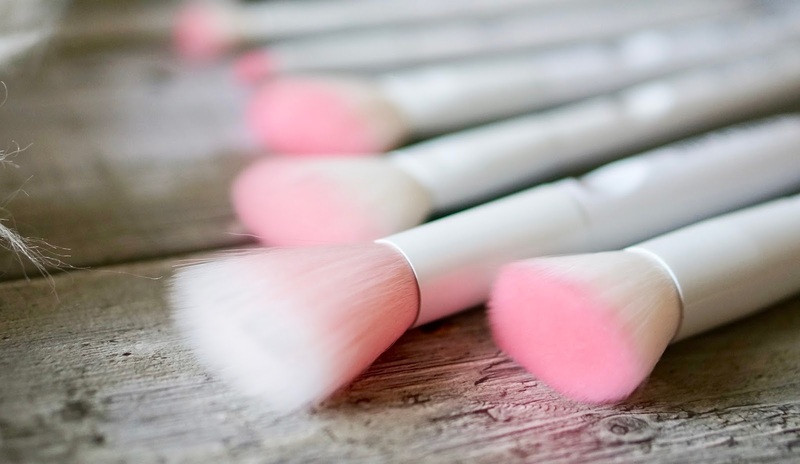 I usually put on eyeshadows on my crease and then blend it with this same brush, and it blends without problem and feels soft on my eyelid too. Lastly, the Small Eyeshadow Brush is another nice brush to have as your extra eyeshadow brush. It is a small domed brush with short round bristles that is perfect to pick up eyeshadows and it did a nice job packing up colors. 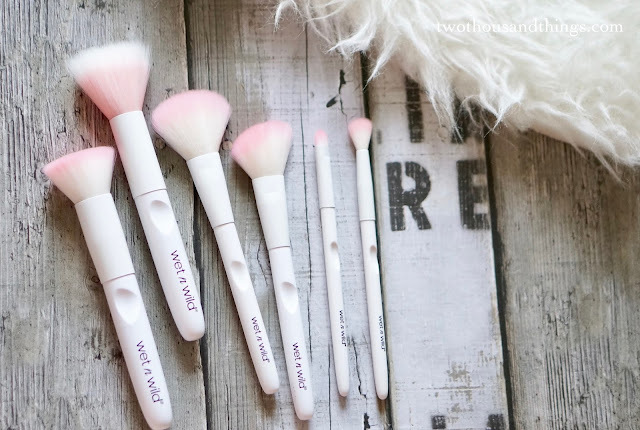 Overall, these pink Wet n Wild brushes might not be your top choice for a really great makeup brush BUT if you want a middle range makeup brushes with good quality and ultra cute packaging then these would be mighty good for you. 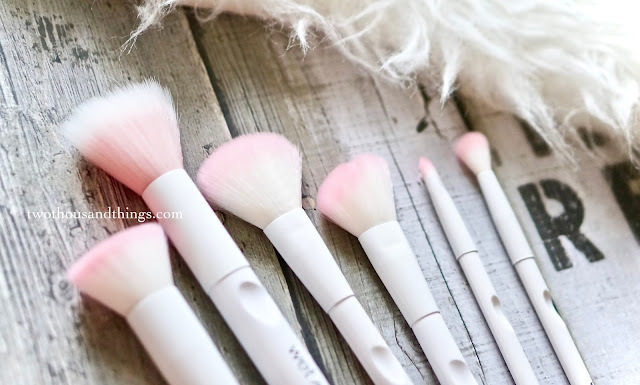 Considering their good quality and low price range I'd say these brushes are worth to buy if you want to add something pretty into your already existing brush collection. These brushes would also be very good for those of you who just started wearing makeup and looking for your first brushes, because they are affordable, do their job well, and looks super pretty. Just not all of them are good, so I would advice to browse around and just buy the ones that stood out the most. 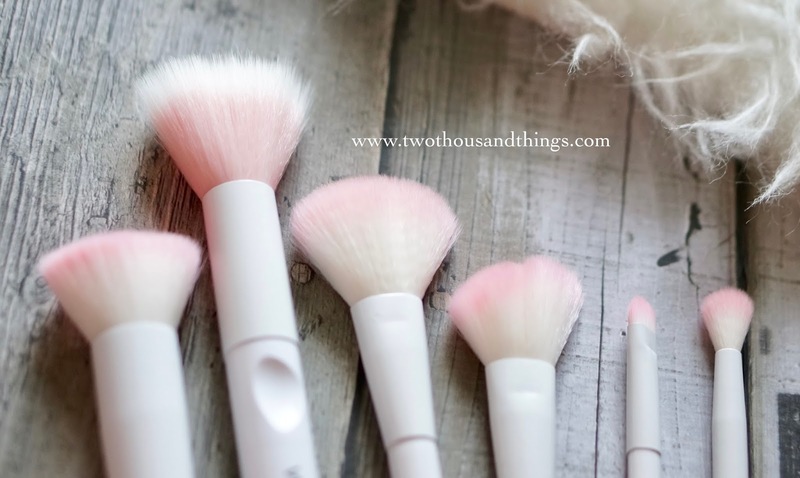 As I previously mentioned, my personal favorites (and the ones that I think worth to try are the : Blush Brush, Flat Top Brush, Contour Brush, and Small Eyeshadow Brush). So if you want to try them then you should get those first. Lastly, they are basically nice brushes and I still use all of them everyday even until this morning because I found them very wearable and I love them as my extra brushes.